CUNFL is a wholly owned CUSO of Franklin Mint Federal Credit Union, which employs a staff of certified educators to carry out its commitment to “Lead with education.” The staff began developing The Berenstain Bears Financial Literacy program when CUNFL partnered with Berenstain Enterprises, Inc. in 2012. 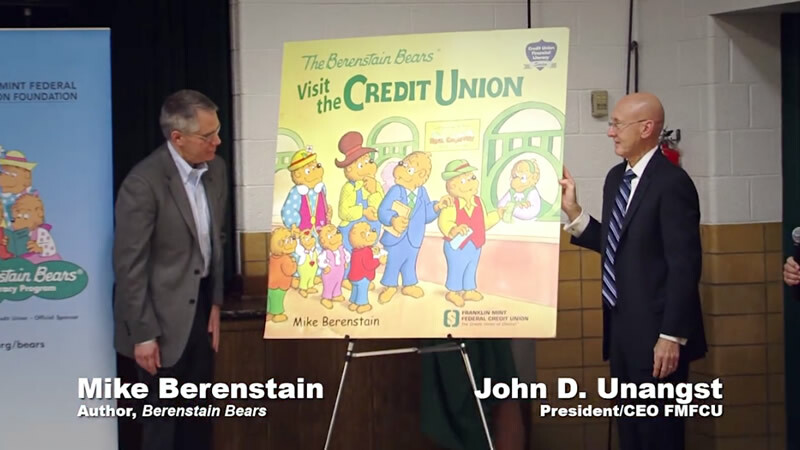 In 2015, CUNFL launched The Berenstain Bears Financial Literacy Program nationally, making it available to other credit unions. As the program’s popularity increases, so too does its content. CUNFL continually monitors education and marketing trends to ensure relevancy, integrity, and compliance. In addition to expanding the scope of The Berenstain Bears Financial Literacy Program, CUNFL is currently working with certified educators to bring to market financial education programs geared toward older children, teens, young adults, and older adults. Distribution dates for these programs will be announced on this website and through CUNFL social media platforms. Michael Berenstain is an American writer and illustrator of children’s books. The son of Stan and Jan Berenstain, he continues the Berenstain Bears series of picture books that his parents inaugurated in 1962. He first collaborated with his parents by illustrating two picture books, The Day of the Dinosaur and After the Dinosaurs (Random House, 1987 and 1988), after which he did several dinosaur books himself. He is credited as a creator of his family’s bear family beginning in 1995 as illustrator of the Bear Scouts subseries. Mike continued the Berenstain Bears with his mother following Stan’s death in 2005, and took over creation of the series after Jan’s death in 2012. His older brother Leo Berenstain is involved in management of the franchise. 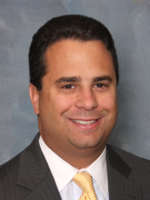 Rick Durante serves on the Board of Managers of Credit Union Network for Financial Literacy, LLC, serves as Executive Director of FMFCU Foundation and is Vice President, Education at Franklin Mint Federal Credit Union. His responsibilities include directing employee education, student-operated branches, and financial literacy. Rick has been recognized for his financial literacy efforts by the National Youth Involvement Board and the Pennsylvania Credit Union Association. He is also Board President of the Delaware County Literacy Council. 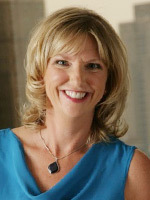 Julie Ferguson founded JRF Consulting Services, LLC for the express purposes of helping credit unions across the country grow and enhance member engagement. 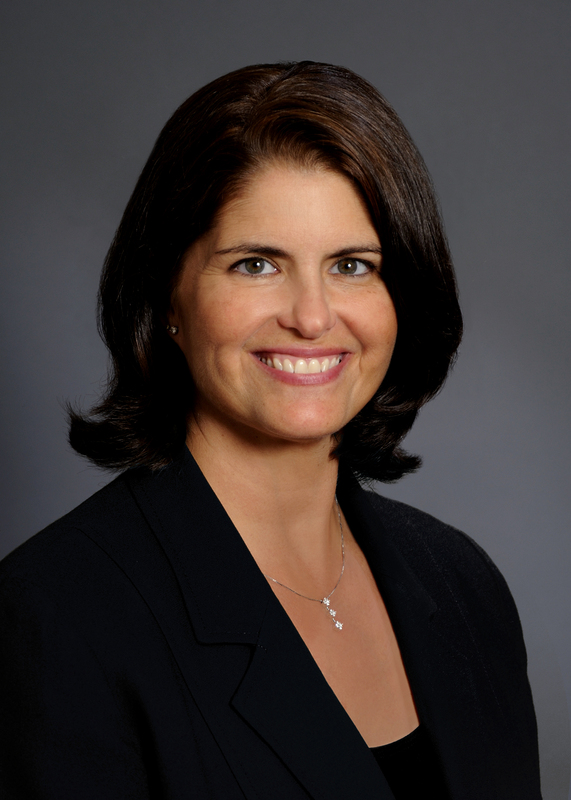 Prior to establishing her consulting firm, Julie’s success as the Business Development Director of First Tech FCU included taking Microsoft from zero to 15-thousand credit union members in just seven years. Julie is a frequent speaker at CUNA and League/Association conferences, CUES events, and she teaches at two CUNA Management Schools. Gige Hyland is well known in the credit union industry for her passion for financial literacy, commitment to the credit union movement, and superior leadership qualities. She served as a Board member of the National Credit Union Administration (NCUA), the independent federal agency created by the U.S. Congress to regulate, charter, and supervise federal credit unions, and is the former Chairwoman of the NeighborWorks America Board. Gigi’s resume also boasts positions as Senior Vice President and General Counsel to Empire Corporate Federal Credit Union, Executive Director and Vice President of Corporate Credit Union Relations for the Credit Union National Association (CUNA) and Association of Corporate Credit Unions (ACCU), and Managing Partner of Hyland & Hyland. Attorney, Messick & Lauer P.C. 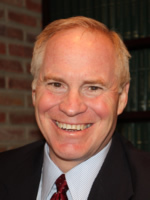 Guy A. Messick, attorney at Messick & Lauer P.C. based in Media, PA, provides strategic planning and legal consultation services to credit unions and credit union service organizations nationwide. Since 1987, he has served as General Counsel to the National Association of Credit Union Service Organizations (NACUSO), where he acts as liaison with the National Credit Union Administration. Guy is a nationally known speaker on a wide range of credit union and CUSO topics.